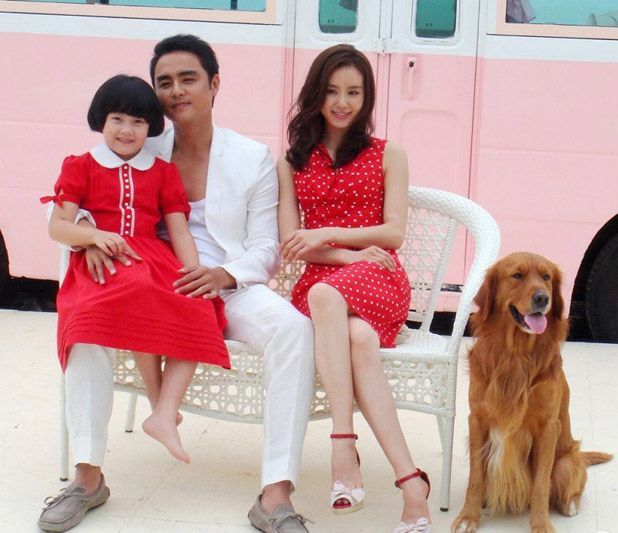 Liu Shi Shi and Ming Dao’s Happiness of An Angel to air on HNTV after 7 years! Whoa. I can’t believe it. Fans are buzzing with happiness on weibo. After seven years of never-ending waiting, Happiness of an Angel or Tian Shi De Xing Fu (天使的幸福), the modern drama with Liu Shi Shi and Ming Dao as leads has been picked up again by HunanTV. They still didn’t drop an exact air date but the fact that it got “to air soon” is a good sign for this slumber baby. It will be interesting to see how the content and fashion of this production contend with today’s blink blink color palette. Filming took place at Hainan Island. It’s gonna be beautiful! Ming Dao. Our haughty doctor. Happy family of three. Little girl is Tang Zhen. The other couple is Jeremy Tsui and Jessie Chiang. Happiness of An Angel has 30 episodes and the premiere date will be revealed soon is 5/22! This entry was posted in Entertainment News, Soundtracks and tagged Cdrama, Happiness of An Angel (天使的幸福), Jessie Chiang, Jones Xu Zheng Xi, Liu Shi Shi, Ming Dao, Tang Zhen by Kappy. Bookmark the permalink. Wow! It’s been so long that I didn’t even realize it’s been 7 years. I’ve been waiting for this since I was a freshman in high school. Lol. I hope it’s good though. LOL! Yes, we did age while waiting for this drama. hehehe! I was so excited when this first started promotion back when production just ended…back then I was such a die-hard LSS fan. Honestly speaking after 7 -years my interest in this (and in LSS…still elegant and timeless tho) has waned by quite a bit so I’m not expecting much. Will still watch tho…probably. Wow finally, I thought this would never air! Ming Dao is the original 霸道總裁 hehe. Anyone knows how c-actors are getting paid? Do they get paid right after they have done filming ? In some countries, actors/actresses are getting their checks after their series done airing…. Chinese actors get their paycheck after filming, thankfully. Omg I’m so happy! Liu Shishi on my screen <3 And in a modern drama, no less. Hopefully this will be good. Btw, why is it 7 years? I thought the drama was filmed in 2012. Unless the "coming soon" means it's planning to air in 2019… lol. It still amazes me how a drama, fully filmed, was completely forgotten for 7 years to only be brought back to the public now??? I’m still confused with how Cdrama production works at times. Well at least there’s a possible chance of airing soon, maybe??? I don’t even know anymore lol. Airing date announced: 5/22/17. Yay!! !